For 28 years, CGI enjoys a well-earned reputation as a trendsetter with innovative ideas, creative programs and new activities. The camp offers the children a full range of activities and sports while maintaining a wonderful Jewish atmosphere. 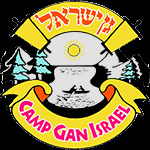 A Gan Israel camper is a child with a broad smile on his/her face and an uplifting song in his/her heart. Many a child has been known to wait all year to come back to Gan Israel! I hope this website will provide you with all necessary information regarding camp. However if you have any concerns, questions or suggestions, please feel free to call us at (210) 764-0300. P.S. To see a PDF of our 2016 camp brochure, click here.